When you first arrive at iNEIS™'s landing page, you will be prompted to log in. 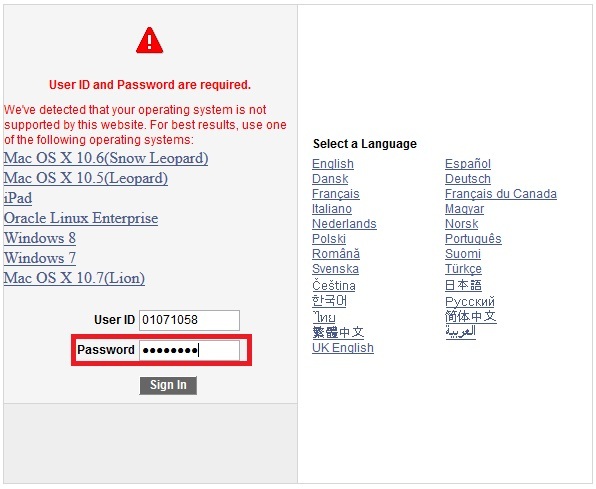 Please take note that IC Numbers as a User Id are only allowed to be used to log in to the system. 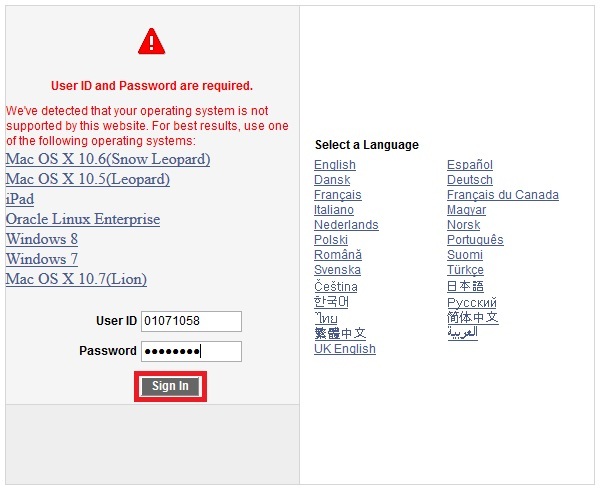 You will be prompted to log in before you can use the system. 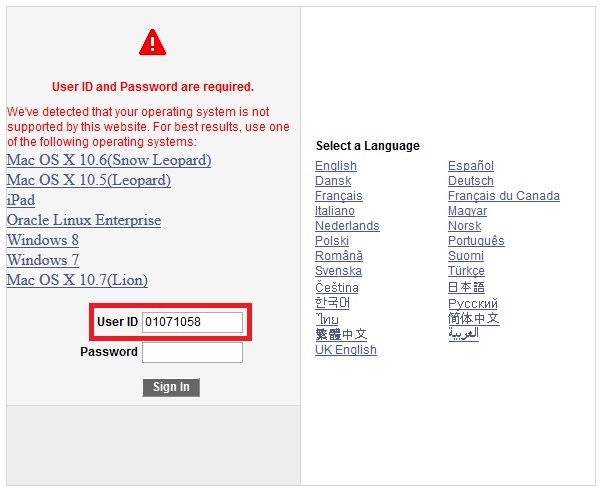 Enter your IC Number / Identification Number into the User ID field. Dash is not required. Only numbers are needed. Click on the Sign In button to log in. You will be directed to your home dashboard by default.